Summer is here and not because June 21st has come and past - it's because Big Brother is back! Six new players are heading into the infamous house for a season full of twists. Already we know that each week two people will be Head of Household, there are four nominees, a new competition called "Battle of the Block," and the HOH isn't safe. So many new twists it'll make predicting winners even harder (and knowing my track record, it should be a real shitshow). I've gone through all the bios on CBS.com and even suffered through Jeff Schroeder's awful interviews. I'm going against my usual type and we're going to see what happens. Surely you're all confused as Hayden is my typical pick and it was very hard to go against my typical pick. But my typical pick: 1. always loses, 2. will typically go home week 3. 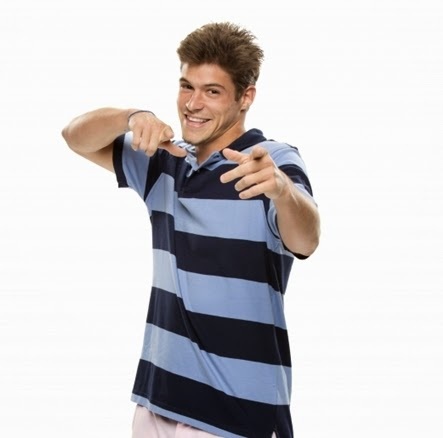 I've decided to pick a totally different Big Brother personality this season: the wannabe Dr. Will douche guy. Zach is a self-proclaimed "con artist," but I have to admit he seems like he'll be an entertaining puppetmaster, should he succeed. At the same time, people may see through Zach immediately and take him out (and if so, please do so week 3 and keep the curse alive). I also fully expect a lot of skeletons to come out about Zach while he's in the house, so let's say in advance this is only based on CBS bio and nothing outside of that. I actually love Christine but the odds are against a female winning Big Brother, which hurts so much. Plus she's a little quirky and married, so a showmance carrying her along is out. Nicole was great in writing, but was so awkward talking to Big Jeff that I lost all hope. And I really did want to pick Hayden because he's likable, has ballin' hair, drives a pedi-cab for a living, and is originally a local guy... but the quirky guy doesn't win. So I'm taking a chance and hoping the more douchey guys (Caleb) go home before my pick to win, Zach. Who do you think will win Big Brother 16? VOTE BELOW (or via this link)in my handy dandy voting sheet. You could win [a picture of] a trophy!! !